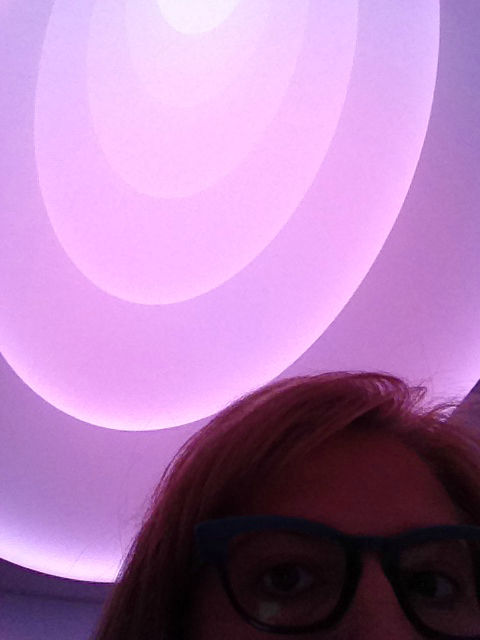 In architecture school, I learned about the brilliant work of James Turrell, an artist who explores perception, light, color and space. 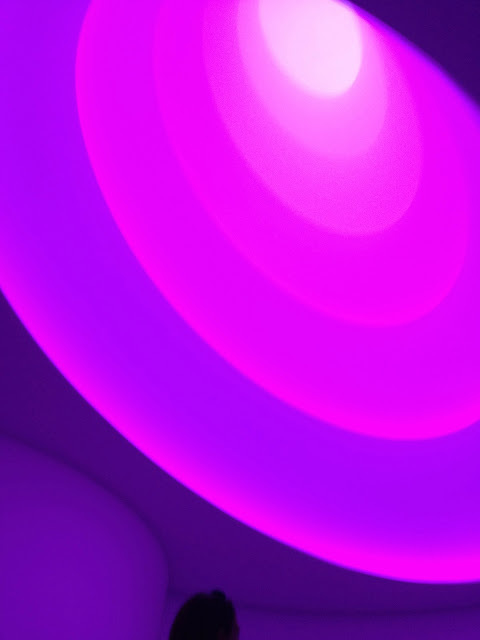 His work is very important as each piece is very site specific and light plays the role as a tangible element, one which evokes emotional effects. 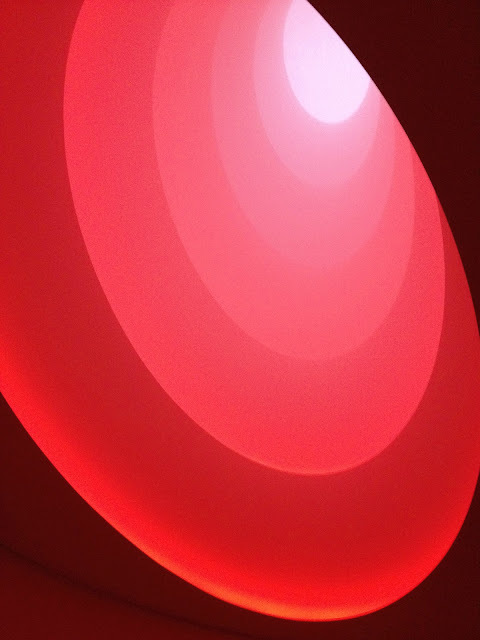 At the Guggenheim NYC, James Turrell completely changed the museum's rotunda into a volume of shifting natural and artificial colored light with his installation called Aten Reign. Visitors were designed to either be centrally located on the floor or on slanted seating on the periphery of the space. In quite contemplation, you are enveloped by five concentric ellipses....where you become one with this perspectival vortex of ever changing light..... It was an overwhelming sense of space and vibrant color. I snapped with my I-phone so you can only imagine the colors to be ever more powerful in person. The colors beautifully slowly change over time. The Vine below gives you a snapshot of the different colors...the experience is far more dramatic. 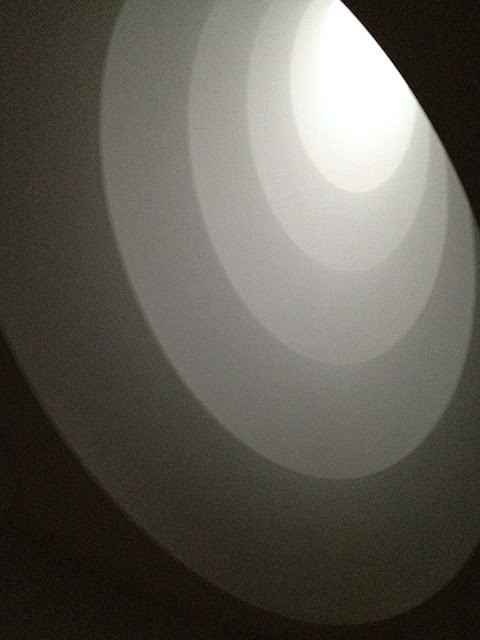 The James Turrell installation is at the Guggenheim until Sept 25th. It's an exhibit to experience!